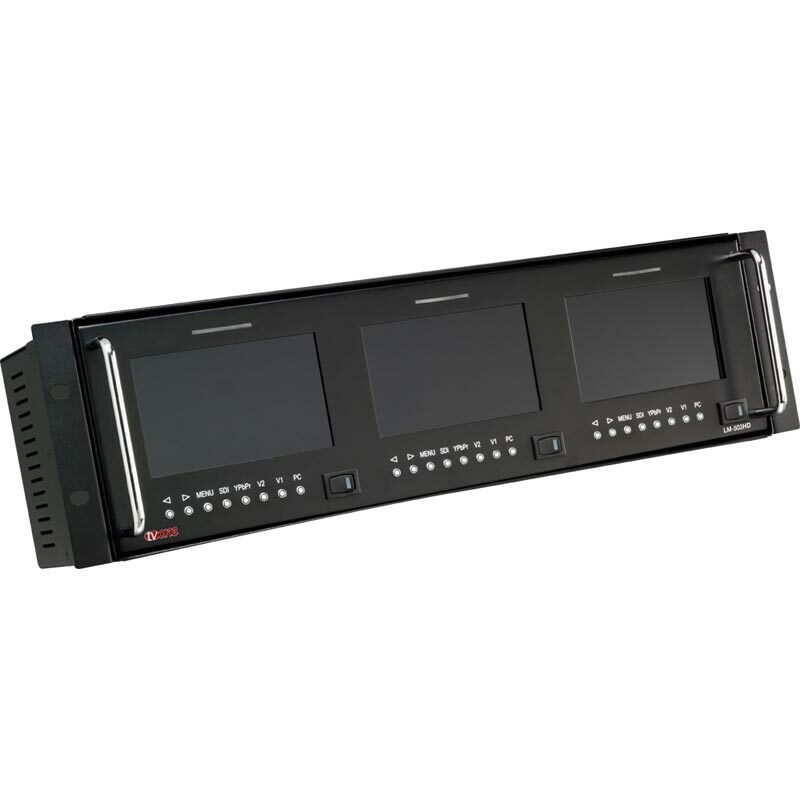 LM-503HD is a high performance Multi-format, Triple 5" Colour LCD Monitor for the broadcast and professional market. A multitude of video signal formats may be accurately monitored. The high brightness, wide viewing angle, excellent contrast ratio and high definition colour result in an outstanding image. 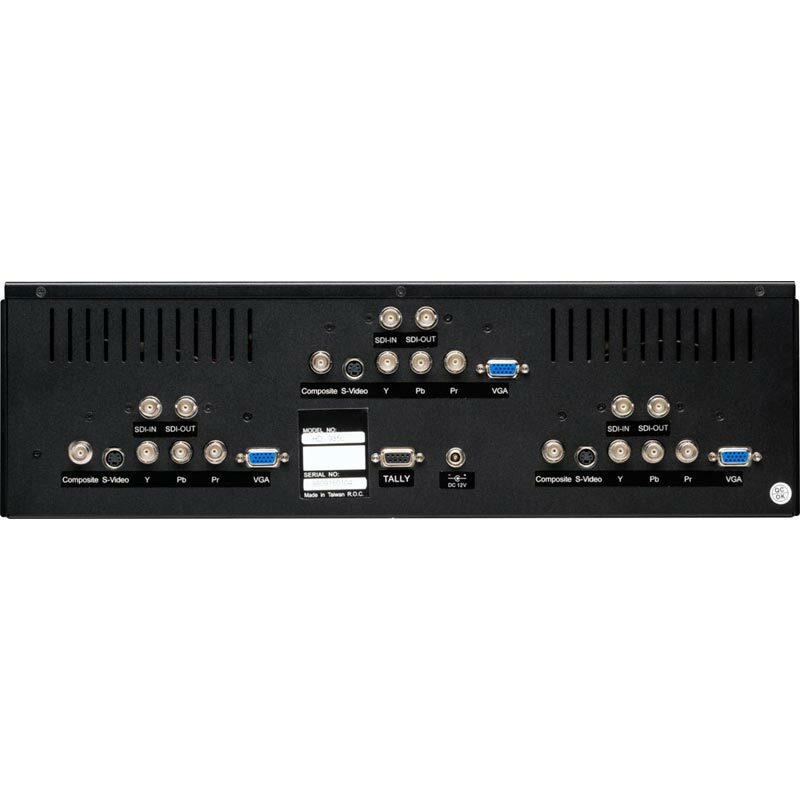 The unit features inputs for SDI (either SD or HD) with an active output, Analogue RGBHV, YPbPr Component Video, a Composite Video and a YC input. NTSC and PAL Television Standards are supported and automatically detected. Front panel Tally LED's can be activated external via the DB9 connector. The Menu contains all the necessary controls to adjust Contrast, Brightness, Sharpness, Colour Level (R-G-B), and other parameters necessary for optimum monitor performance. Results of these adjustments can be viewed via the On Screen Display. 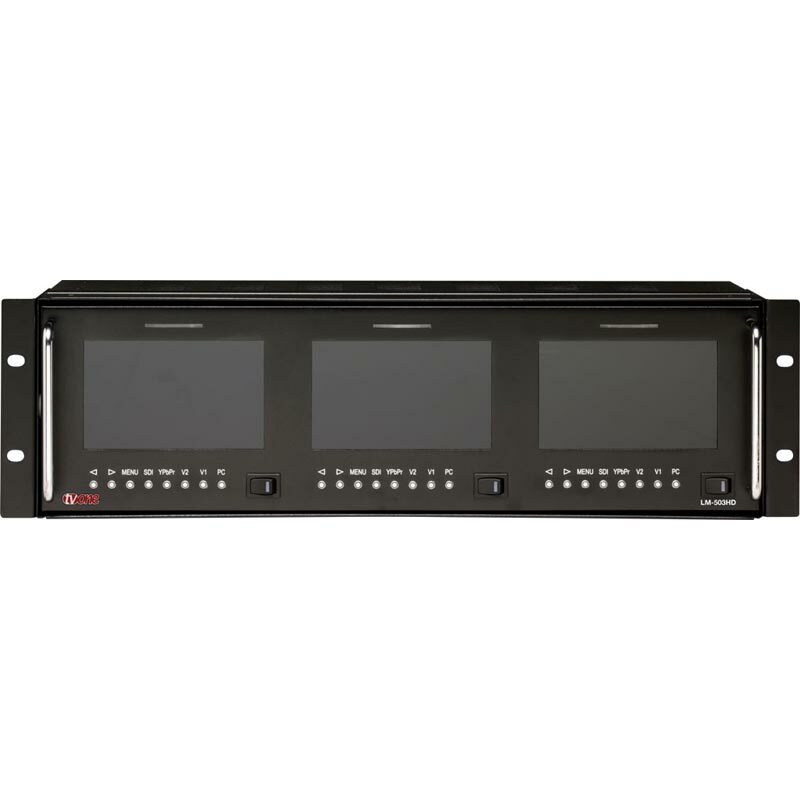 A rack mount kit is included that can tilt up or down. Although the monitor has excellent viewing angles, the tilt feature can be beneficial when circumstances necessitate mounting the monitor considerably above or below normal eye level.